If you want to know what Russia, China or Iran will do next, don't read their newspapers or ask what our spies have dug up—consult a map. Geography can reveal as much about a government's aims as its secret councils. More than ideology or domestic politics, what fundamentally defines a state is its place on the globe. Maps capture the key facts of history, culture and natural resources. With upheaval in the Middle East and a tumultuous political transition in China, look to geography to make sense of it all. As a way of explaining world politics, geography has supposedly been eclipsed by economics, globalization and electronic communications. It has a decidedly musty aura, like a one-room schoolhouse. Indeed, those who think of foreign policy as an opportunity to transform the world for the better tend to equate any consideration of geography with fatalism, a failure of imagination. Want to understand the political insecurity of China's leaders or Iran's resilience in the face of Western sanctions? The best place to start is with a map, says Robert D. Kaplan, discussing his new book with WSJ's Gary Rosen. But this is nonsense. Elite molders of public opinion may be able to dash across oceans and continents in hours, allowing them to talk glibly of the "flat" world below. But while cyberspace and financial markets know no boundaries, the Carpathian Mountains still separate Central Europe from the Balkans, helping to create two vastly different patterns of development, and the Himalayas still stand between India and China, a towering reminder of two vastly different civilizations. Technology has collapsed distance, but it has hardly negated geography. Rather, it has increased the preciousness of disputed territory. As the Yale scholar Paul Bracken observes, the "finite size of the earth" is now itself a force for instability: The Eurasian land mass has become a string of overlapping missile ranges, with crowds in megacities inflamed by mass media about patches of ground in Palestine and Kashmir. Counterintuitive though it may seem, the way to grasp what is happening in this world of instantaneous news is to rediscover something basic: the spatial representation of humanity's divisions, possibilities and—most important—constraints. The map leads us to the right sorts of questions. Why, for example, are headlines screaming about the islands of the South China Sea? As the Pacific antechamber to the Indian Ocean, this sea connects the energy-rich Middle East and the emerging middle-class fleshpots of East Asia. It is also thought to contain significant stores of hydrocarbons. China thinks of the South China Sea much as the U.S. thinks of the Caribbean: as a blue-water extension of its mainland. Vietnam and the Philippines also abut this crucial body of water, which is why we are seeing maritime brinkmanship on all sides. It is a battle not of ideas but of physical space. 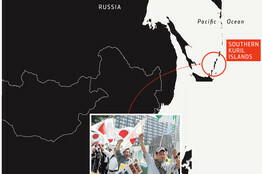 The same can be said of the continuing dispute between Japan and Russia over the South Kuril Islands. Why does President Vladimir Putin covet buffer zones in Eastern Europe and the Caucasus, just as the czars and commissars did before him? Because Russia still constitutes a vast, continental space that is unprotected by mountains and rivers. Putin's neo-imperialism is the expression of a deep geographical insecurity. Or consider the decade since 9/11, which can't be understood apart from the mountains and deserts of Afghanistan and Iraq. The mountains of the Hindu Kush separate northern Afghanistan, populated by Tajiks and Uzbeks, from southern and eastern Afghanistan, populated by Pushtuns. The Taliban are Sunni extremists like al Qaeda, to whom they gave refuge in the days before 9/11, but more than that, they are a Pushtun national movement, a product of Afghanistan's harsh geographic divide. Moving eastward, we descend from Afghanistan's high tableland to Pakistan's steamy Indus River Valley. But the change of terrain is so gradual that, rather than being effectively separated by an international border, Afghanistan and Pakistan comprise the same Indo-Islamic world. From a geographical view, it seems naive to think that American diplomacy or military activity alone could divide these long-interconnected lands into two well-functioning states. As for Iraq, ever since antiquity, the mountainous north and the riverine south and center have usually been in pitched battle. It started in the ancient world with conflict among Sumerians, Akkadians and Assyrians. Today the antagonists are Shiites, Sunnis, and Kurds. The names of the groups have changed but not the cartography of war. The U.S. itself is no exception to this sort of analysis. Why are we the world's pre-eminent power? Americans tend to think that it is because of who we are. I would suggest that it is also because of where we live: in the last resource-rich part of the temperate zone settled by Europeans at the time of the Enlightenment, with more miles of navigable, inland waterways than the rest of the world combined, and protected by oceans and the Canadian Arctic. Even so seemingly modern a crisis as Europe's financial woes is an expression of timeless geography. It is no accident that the capital cities of today's European Union (Brussels, Maastricht, Strasbourg, The Hague) helped to form the heart of Charlemagne's ninth-century empire. With the end of the classical world of Greece and Rome, history moved north. There, in the rich soils of protected forest clearings and along a shattered coastline open to the Atlantic, medieval Europe developed the informal power relations of feudalism and learned to take advantage of technologies like movable type. Indeed, there are several Europes, each with different patterns of economic development that have been influenced by geography. In addition to Charlemagne's realm, there is also Mitteleuropa, now dominated by a united Germany, which boasts few physical barriers to the former communist east. The economic legacies of the Prussian, Habsburg and Ottoman empires still influence this Europe, and they, too, were shaped by a distinctive terrain. Nor is it an accident that Greece, in Europe's southeastern corner, is the most troubled member of the EU. Greece is where the Balkans and the Mediterranean world overlap. It was an underprivileged stepchild of Byzantine and then Turkish despotism, and the consequences of this unhappy geographic fate echo to this day in the form of rampant tax evasion, a fundamental lack of competitiveness, and paternalistic coffeehouse politics. As for the strategic challenge posed to the West by China, we would do well not to focus too single-mindedly on economics and politics. Geography provides a wider lens. China is big in one sense: its population, its commercial and energy enterprises and its economy as a whole are creating zones of influence in contiguous parts of the Russian Far East, Central Asia and Southeast Asia. But Chinese leaders themselves often see their country as relatively small and fragile: within its borders are sizable minority populations of Tibetans in the southwest, Uighur Turks in the west and ethnic-Mongolians in the north. It is these minority areas—high plateaus virtually encircling the ethnic core of Han Chinese—where much of China's fresh water, hydrocarbons and other natural resources come from. The West blithely tells the Chinese leadership to liberalize their political system. But the Chinese leaders know their own geography. They know that democratization in even the mildest form threatens to unleash ethnic fury. Because ethnic minorities in China live in specific regions, the prospect of China breaking apart is not out of the question. That is why Beijing pours Han immigrants into the big cities of Tibet and western Xinjiang province, even as it hands out small doses of autonomy to the periphery and continues to artificially stimulate the economies there. These policies may be unsustainable, but they emanate ultimately from a vast and varied continental geography, which extends into the Western Pacific, where China finds itself boxed in by a chain of U. S. naval allies from Japan to Australia. It is for reasons of geographic realpolitik that China is determined to incorporate Taiwan into its dominion. In no part of the world is it more urgent for geography to inform American policy than in the Middle East, where our various ideological reflexes have gotten the better of us in recent years. As advocates continue to urge intervention in Syria, it is useful to recall that the modern state of that name is a geographic ghost of its post-Ottoman self, which included what are now Lebanon, Jordan and Israel. Even that larger entity was less a well-defined place than a vague geographical expression. Still, the truncated modern state of Syria contains all the communal divides of the old Ottoman region. Its ethno-religious makeup since independence in 1944—Alawites in the northwest, Sunnis in the central corridor, Druze in the south—make it an Arab Yugoslavia in the making. These divisions are what long made Syria the throbbing heart of pan-Arabism and the ultimate rejectionist state vis-à-vis Israel. Only by appealing to a radical Arab identity beyond the call of sect could Syria assuage the forces that have always threatened to tear the country apart. But this does not mean that Syria must now descend into anarchy, for geography has many stories to tell. Syria and Iraq both have deep roots in specific agricultural terrains that hark back millennia, making them less artificial than is supposed. Syria could yet survive as a 21st-century equivalent of early 20th-century Beirut, Alexandria and Smyrna: a Levantine world of multiple identities united by commerce and anchored to the Mediterranean. Ethnic divisions based on geography can be overcome, but only if we first recognize how formidable they are. Finally, there is the problem of Iran, which has vexed American policy makers since the Islamic Revolution of 1979. The U.S. tends to see Iranian power in ideological terms, but a good deal can be learned from the country's formidable geographic advantages. The state of Iran conforms with the Iranian plateau, an impregnable natural fortress that straddles both oil-producing regions of the Middle East: the Persian Gulf and the Caspian Sea. Moreover, from the western side of the Iranian plateau, all roads are open to Iraq down below. And from the Iranian plateau's eastern and northeastern sides, all roads are open to Central Asia, where Iran is building roads and pipelines to several former Soviet republics. Geography puts Iran in a favored position to dominate both Iraq and western Afghanistan, which it does nicely at the moment. 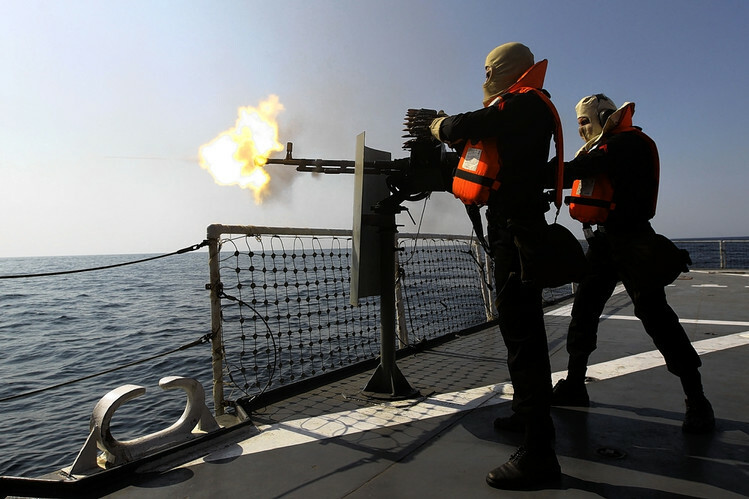 Iran's coastline in the Persian Gulf's Strait of Hormuz is a vast 1,356 nautical miles long, with inlets perfect for hiding swarms of small suicide-attack boats. But for the presence of the U.S. Navy, this would allow Iran to rule the Persian Gulf. Iran also has 300 miles of Arabian Sea frontage, making it vital for Central Asia's future access to international waters. India has been helping Iran develop the port of Chah Bahar in Iranian Baluchistan, which will one day be linked to the gas and oil fields of the Caspian basin. Iran is the geographic pivot state of the Greater Middle East, and it is essential for the United States to reach an accommodation with it. The regime of the ayatollahs descends from the Medes, Parthians, Achaemenids and Sassanids of yore—Iranian peoples all—whose sphere of influence from the Syrian desert to the Indian subcontinent was built on a clearly defined geography. There is one crucial difference, however: Iran's current quasi-empire is built on fear and suffocating clerical rule, both of which greatly limit its appeal and point to its eventual downfall. Under this regime, the Technicolor has disappeared from the Iranian landscape, replaced by a grainy black-and-white. The West should be less concerned with stopping Iran's nuclear program than with developing a grand strategy for transforming the regime. In this very brief survey of the world as seen from the standpoint of geography, I don't wish to be misunderstood: Geography is common sense, but it is not fate. Individual choice operates within a certain geographical and historical context, which affects decisions but leaves many possibilities open. The French philosopher Raymond Aron captured this spirit with his notion of "probabilistic determinism," which leaves ample room for human agency. But before geography can be overcome, it must be respected. Our own foreign-policy elites are too enamored of beautiful ideas and too dismissive of physical facts-on-the-ground and the cultural differences that emanate from them. Successfully navigating today's world demands that we focus first on constraints, and that means paying attention to maps. Only then can noble solutions follow. The art of statesmanship is about working just at the edge of what is possible, without ever stepping over the brink. —Mr. Kaplan is chief geopolitical analyst for Stratfor, a private global intelligence firm. This article is adapted from his book, "The Revenge of Geography: What the Map Tells Us About Coming Conflicts and the Battle Against Fate," which will be published Tuesday by Random House.